The traditional view of retirement in America is under assault on a variety of fronts. For one we’re living longer, healthier lives, which means the older members of our society are drawing benefits longer from Social Security and Medicare. We’re also not replenishing our workforce fast enough to keep the average age of the nation from gradually creeping higher, and the ratio of workers to retirees continues to fall. The continued softness in the job market, and reduced wages in the jobs that remain, are putting financial pressure on everyone. As many as six in ten older Americans report they have had to help other family members financially, and the majority would do so again even if it meant they had to work longer. While it’s likely we’ll stumble through a solution to Social Security and Medicare funding issues, it will not be pleasant for an entire generation of Americans approaching retirement. The best insurance you’ll have against a reduction in benefits or future financial turmoil is having the option to work longer if you choose to do so, for whatever reason. For many working past 65 is not going to be an option. 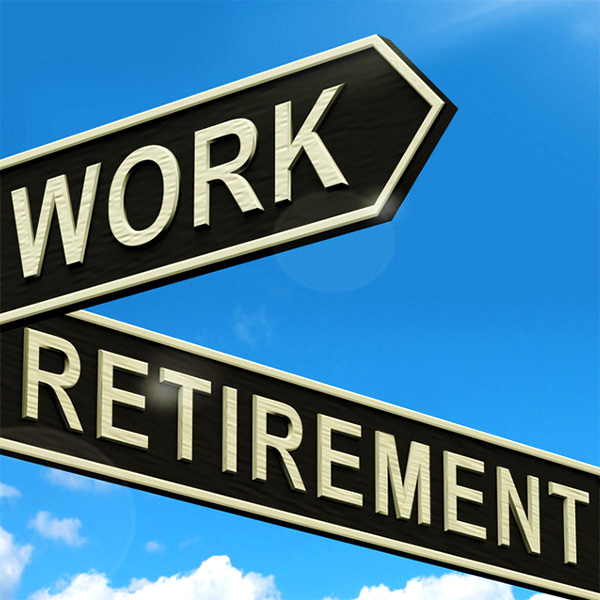 Others may want to work past retirement age, even if they don’t need the money all that bad. Luckily there are some ways to future-proof your career so you can decide what age you’d like to retire instead of having it forced upon you. The best way to avoid age-related discrimination on the job is to own the company. That eliminates the possibility of being laid off or forced out; it can also provide a store of wealth if you decide to sell out. For those in their 20s and 30s, taking business classes and learning to run a small business are skills that will serve you well, regardless of whether you ever start your own company. You’ll learn to think like a business person and that skill alone will, somewhat ironically, make you more valuable to employers. In our town we have weekend markets that draw a variety of local vendors, many of whom have jobs in other fields during the week. Some of the vendors specialize in artisan foods, others in hobbies and crafts. While a weekend market or other sideline job may not provide enough income to live on, it can provide valuable extra cash you can put toward retirement or use to cushion a job loss. For many the sideline jobs do eventually grow into a family business. Many use their weekend hobby businesses to employ their kids and relatives looking for a little extra spending cash. My nephew is working toward becoming an airline pilot, and he’s going to be retired at age 65 whether he likes it or not. Just a few years ago the mandatory retirement age was 60. That’s a hard stop dictated by airline and government policy. While there may be other jobs he can do later in his flying career, it will be something different. Your career choice can dictate how long you can work. Some jobs are just too physically demanding for your body to manage, and age discrimination is a reality in the modern workforce. Jobs that tend to provide more of an age cushion are trades with lower physical stress like plumbers, electricians, and electronics repair technicians. Independent trades also give you the ability to go solo or start your own company some day if you do get replaced by younger workers. Professions like lawyers and doctors tend to work longer in life, but many nurses may have trouble finding jobs after 50. So if the choice is nursing school or medical school, the more future-proof of the two is medical school. Writers, graphic artists, medical coders, and technical support people who are really skilled at their craft can literally work as long as they can sit in a chair, and many of those jobs offer work-at-home options. One caution with working remotely: any job that you can work at home can potentially be outsourced to places where people work for very low wages. Computer programmers, game developers and video editors tend to flame out early, and face age discrimination in the workplace — but those who work to develop products independently can have a relatively future-proof career if they can stay current in the business. The old days of having a job at the same company for 30 years, and then walking away with a pension and gold watch, are now fairy tales of ancient history. The only person you’ll be able to count on retirement is you, and the only jobs that are truly future-proof are the ones you make for yourself.